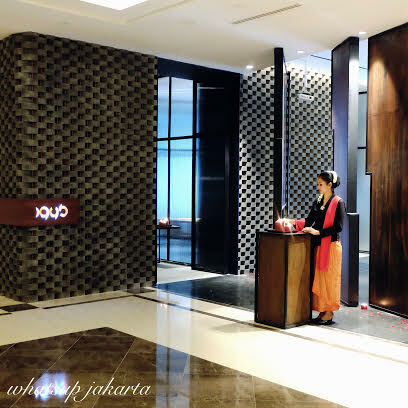 Situated on the third floor of recently opened Fairmont Hotel, 1945 restaurant had its grand opening on the same day as Indonesia celebrated its 70th Independence Day on Aug 17th. 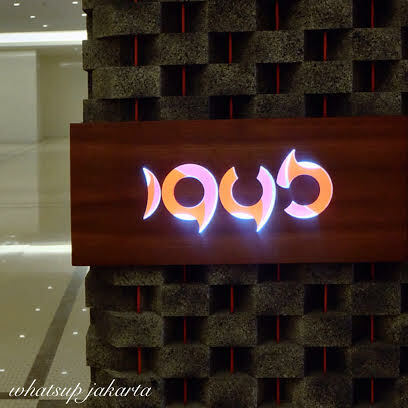 1945 restaurant was conceived, by the founder of “Sate Khas Senayan”, on the idea of paying tribute to its country-Indonesia. 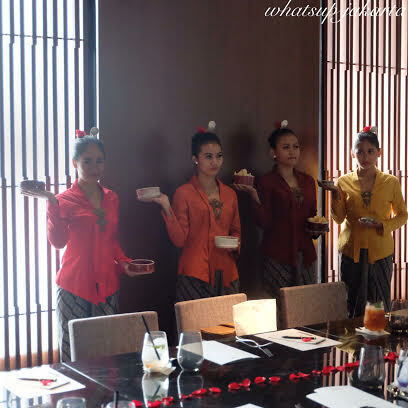 With the intention to elevate local traditional cuisine to an international class level. 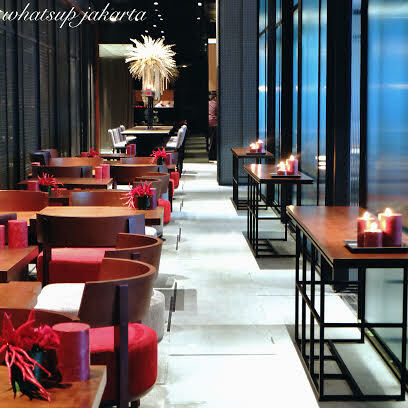 The restaurant has a fine dining concept with the promise of impeccable and welcoming service. 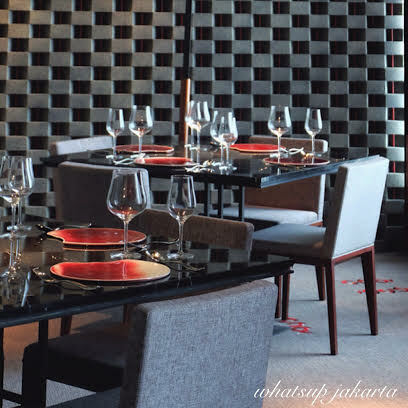 Guests are indulged in the minimalistic interior and welcoming ambience and exquisite ceramic plates, Batik wearing servers to complete the look. 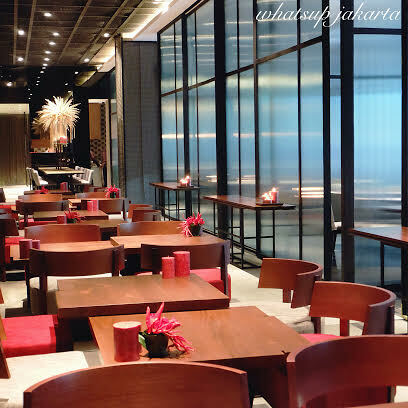 1945 restaurant is divided into three main areas; the first area would be the lounge area for light snacks and alcoholic beverages, second area is the meeting room with a la carte menus and the last area would be the fine dining area that serves main courses. 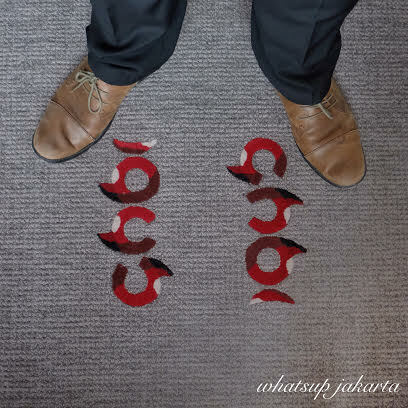 Before proceeding to full course meal, we were accompanied by a flowing of addictive finger food that we, as local, call it ‘Jajanan’. 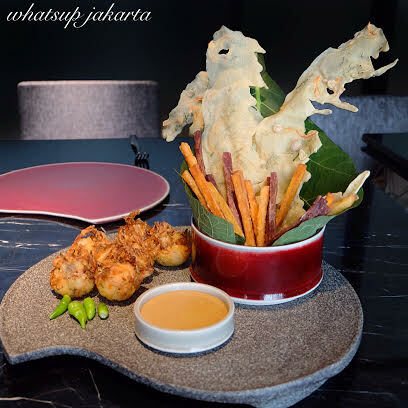 The finger food consisted of prawn fritters, sweet potato fries, bakwan and rempeyek crackers. 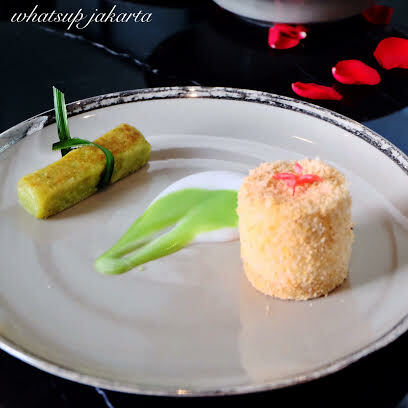 Locals found them as snacks that could easily be found in streets vendors, it was surprising enough from the presentation which it was served and accompanied by a glass of wine that it had became a high class food. A perfect little delights before a full course meal. 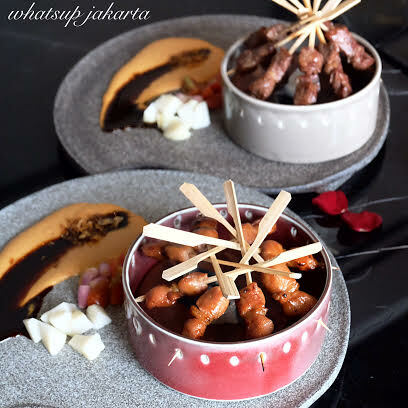 Satay is considered as an internationally known dish, skewered meat that are served in peanut sauce and drizzled with sweet soy sauce with optional chilly sauce on the side. The smell of charred meat and juice oozing out from the skewers can easily make anyone drool with anticipation. 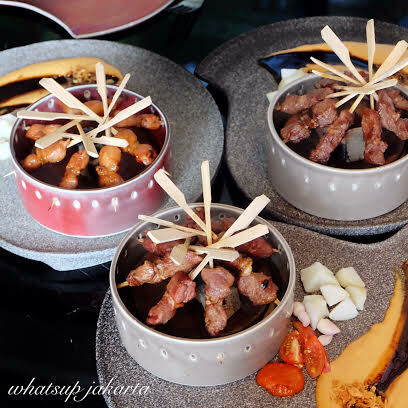 The skewered meat comes in selections of chicken, beef, lamb and gindara fish. 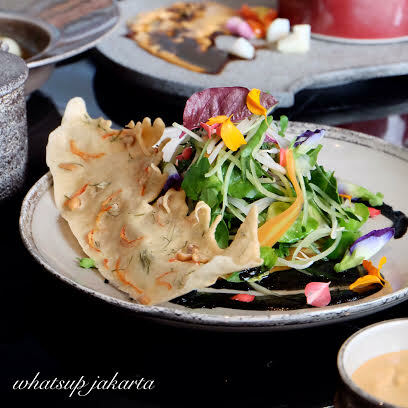 An elevated version of a traditional salad dish that is called ‘Gado-gado’, instead of a local dish that typically consisted of fresh vegetables, it is topped off with edible flowers of Begonia and Marigold flower. A delicate and refreshing salad dish that should not be missed. Plain white rice has always been the staple food in Indonesia, here in 1945 restaurant, the rice they serves are varied to cater individual need; white, black ( red for some people) and yellow. Another staple food for the locals seemed to be the fried rice- ‘The Nasi Goreng’. 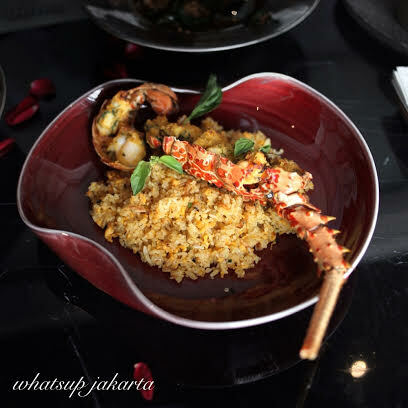 The fried rice comes in three different versions; Nasi Goreng Kampong, Nasi Goreng Wagyu and Nasi Goreng Lobster. 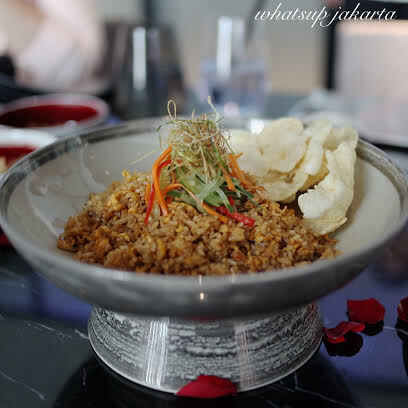 Nasi Goreng Kampong has a distinct taste of the traditional than the other two fried rice; it relies heavily on its local spices which gives its umami taste. 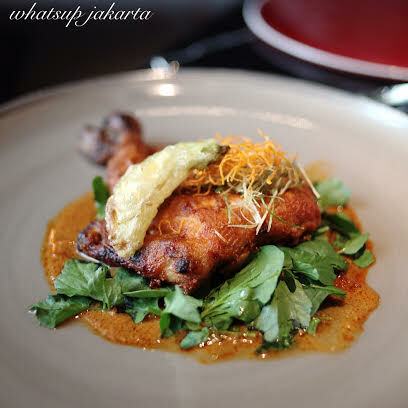 The dish is then completed with tender and moist chicken meat, scrambled egg and fresh vegetables. The hero of this dish is the fresh lobster that its serving size almost filled the entire dish. The rice almost felt like a garnish compare to the lobster. There is almost no room to be disappointed by the taste or the portion of this dish. The overall taste is balanced and satisfaction is most guaranteed. This dish is known to be eaten with bare fingers and tend to be messy to eat. The restaurant found a solution to serve the chicken boneless to avoid messiness. The chicken was tender and juicy, and accompanied by a plain white rice completed the dish. 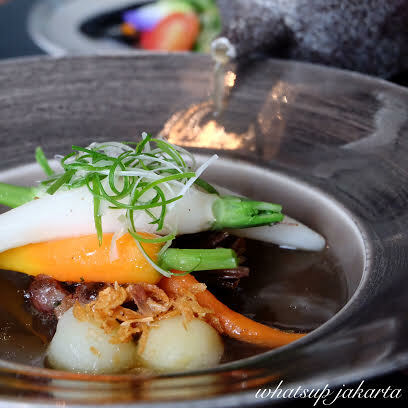 ‘Tongseng’ is an Indonesian meat stew in curry-like soup mixed with sweet soy sauce and fresh vegetables. 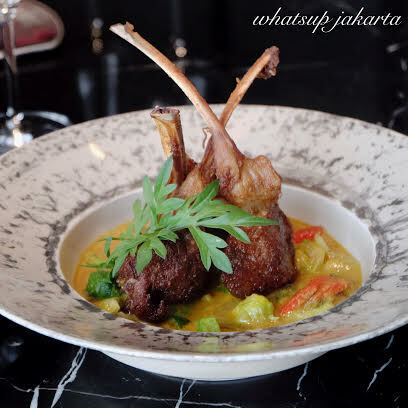 This dish is usually classified as a street food, meat that comes in shredded or small dices of lamb meat, however the dish they serve at this restaurant comes in two massive bones of fried lamb chop. The meat is tender that cuts with a fork easily like butter and the taste is just exquisite and it has no prengus smell that is commonly found in lamb meat. To me, personally, this is the winner dish of the day. Rendang is cooked on low heat temperature for about five hours or so until the meat is tender. 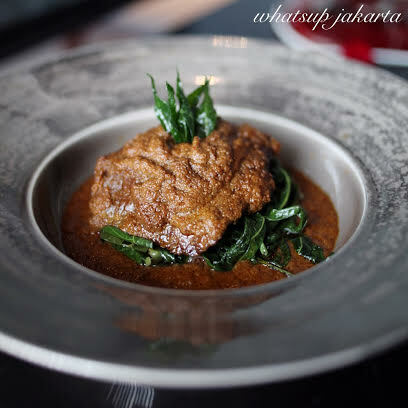 Rendang is known for its prolonged expiration period due to the process and the spices that are used. 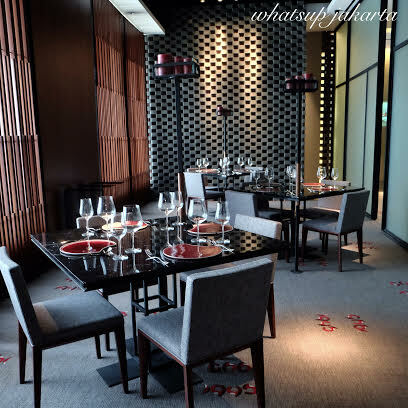 This restaurant has its way of elevating the local dish by using Wagyu meat, the meat that is known for its tender and juicy meat. 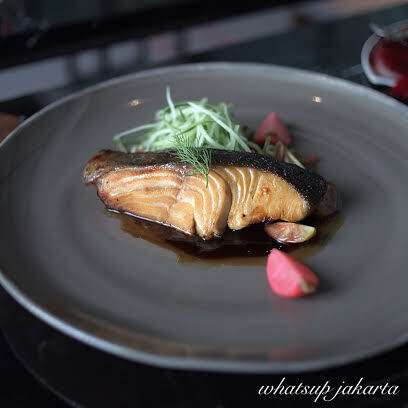 Gindara fish steak infused with sweet terasi is an option for those that are looking for a lighter meal instead of all the meat this restaurant offers and its punch of flavors is not to be taken lightly. 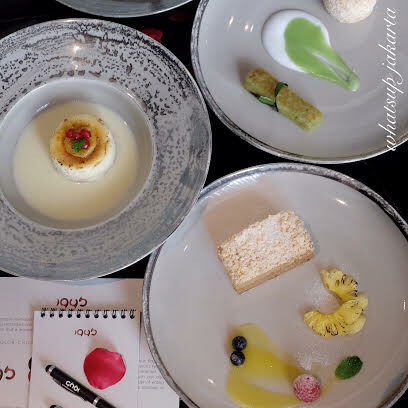 The spectacular courses of meal ended with a beautiful selection of traditional desserts that are elevated to meet the international class standard both in presentations and tastes. 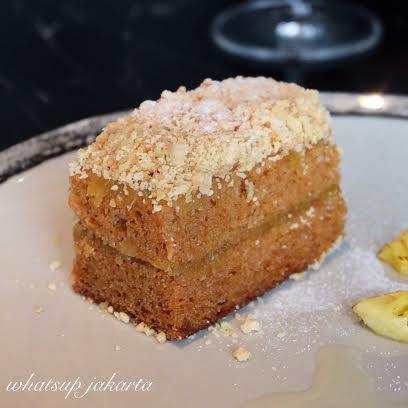 Tape cheese cake is a creative twist on my favorite local dessert. It was hard to picture a taste that combines tape, a very bold taste in my opinion, with cheesecake flavor which is also has a bold taste. With a little magic touch from the chef and great palate on balancing the taste, it was almost magical to taste and I became a believer. Last but not least is the Nastar cake, a pineapple tasting cake that usually comes in small tarts. With another creative twist, the tarts are turned into a slice of soft cake These traditional nastar tarts are commonly found during the festive season. 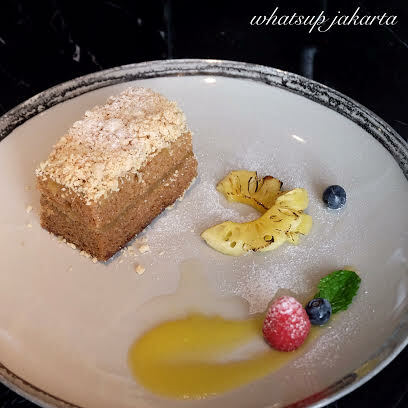 The restaurant had turned it into a modern looking dessert and enable patrons to enjoy it year round. I immensely enjoyed the full course meal 1945 restaurant offered. 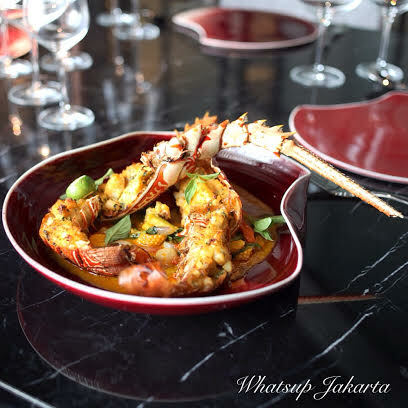 Its top notched service and creative delicious dishes easily placed this restaurant on my top list. Not only the restaurant serves outstanding dishes, it provoke my nationalism, proud of of my roots where these dishes were based from. 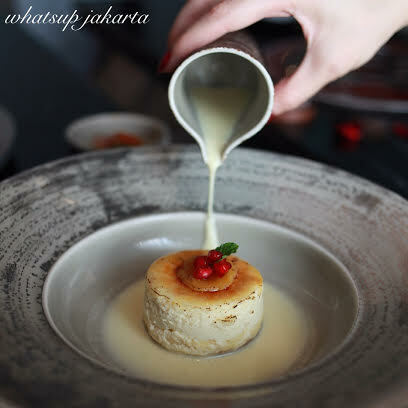 It reminded me of my love for traditional dishes I have feasted on almost all my life and yet presented in a modern way. 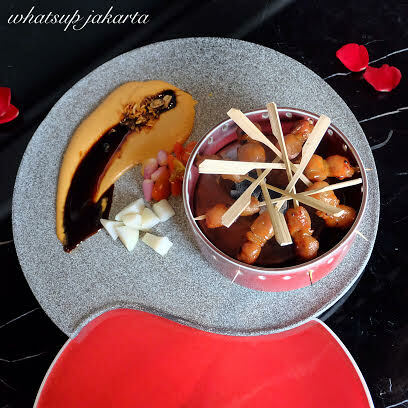 My hat off to the creator of the restaurant and hope their intention to propel Indonesian food to an international level class would be achieved. Do make your way into this restaurant and who knows we bump into one another, as I can assure you after this dining experience it would not be my last visit.